Garrison Keillor is suddenly relevant again, and not in a good way. The former host of A Prairie Home Companion has been fired from Minnesota Public Radio over “allegations of his inappropriate behavior with an individual who worked with him,” as the network put it in a statement released earlier today. That statement doesn’t elaborate on exactly what those allegations involve, but it does say they stem from Keillor’s conduct when he was hosting A Prairie Home Companion and that the firing followed an independent investigation by outside legal council. According to Keillor, this is all a big misunderstanding, stemming from an incident where he “meant to pat” a woman’s back “after she told me about her unhappiness” and his hand went up the back of her shirt. “She recoiled. I apologized. I sent her an email of apology later and she replied that she had forgiven me and not to think about it. We were friends. We continued to be friendly right up until her lawyer called,” he claims in the aforementioned email. 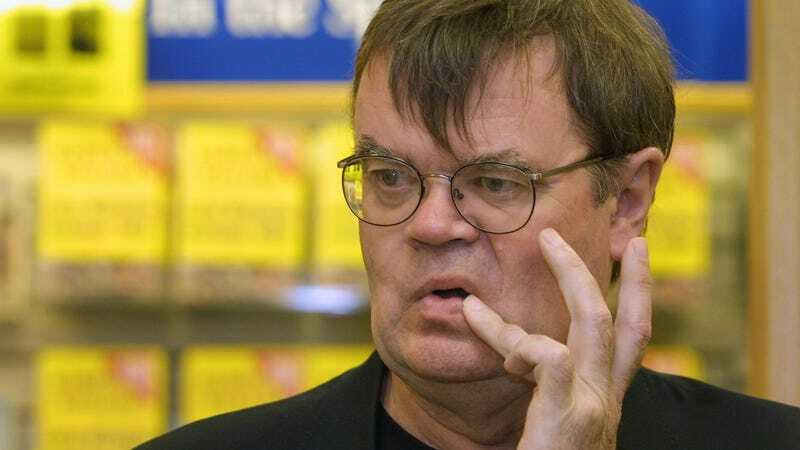 The network is terminating all of its business ties to Keillor’s media company, which includes: ending its distribution of Keillor’s show The Writer’s Almanac as well as The Best Of A Prairie Home Companion Hosted By Garrison Keillor; separating itself from Keillor’s Pretty Good Goods merch site and PrairieHome.org; and renaming the show formerly known as A Prairie Home Companion, which is currently hosted by Chris Thile.